All of us like delicious meals. Moreover, people simply can't live without food. We're sure that with professional approach your food store will be a great success. 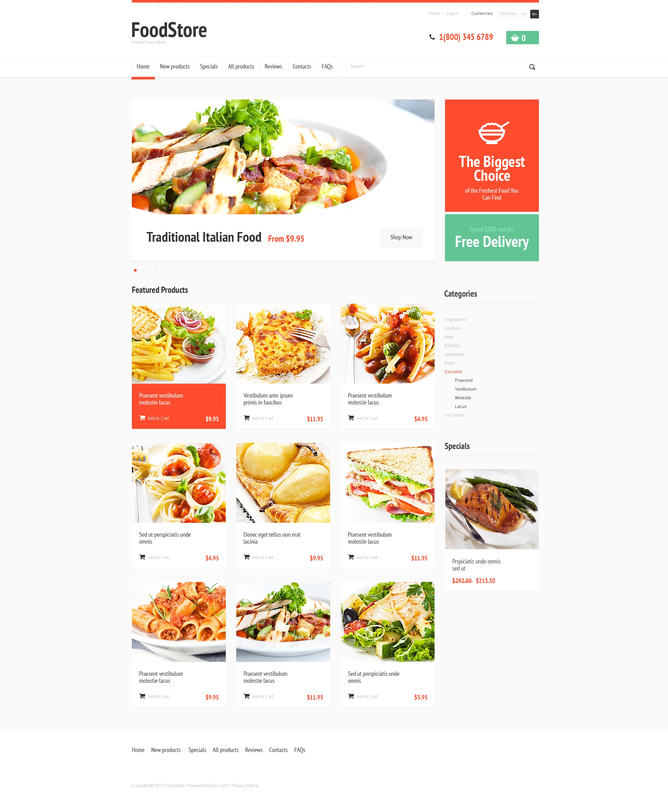 Our template possesses all necessary features to make your customers buy even more food than they can actually eat. All images of yummy dishes are placed over a white background, where they look even more mouthwatering. Orange and turquoise colors stimulate visitors' appetite and buying activity. Choose this template and make a huge leap in your business progress. Ultimate Package with 80% discount (total value - $600).